Last night I laid under a blanket in a room full of strangers and was bathed in sound for 90 minutes. It was incredible and just what I needed at that moment. Music has always been great therapy for me. For as long as I can remember I’ve been into it. It’s always helped me focus, be creative, to think and to feel. I meticulously curate my work and run playlist in search of meditative focus and euphoric progression. Alongside my favourite bands, my work/run playlists are filled with mostly drum n bass, house, psytrance and ambient electro (Calibre, Jon Hopkins, Moderat). I also really like working, running and driving to classical music – at the moment I’m particularly bumming the music of a German pianist and film score composer Dirk Maaassen (totally check him out). I know that whatever music I can write or work really well to will be just as good to run to as well, and when the right music is played during my favourite yoga classes it’s always easier to get so much more involved, and sail into Savasanah for a gorgeous meditation. Maybe it’s my musical mind that makes it so easy to get lost in a gong bath? Because the ‘music’ of the gong is so all-encompassing, so enveloping, so penetrating (oh matron); so specifically designed to leave any stresses and anxiety behind and take me straight to that magical meditative place. I don’t have to try to get there myself, like I do sometimes with floatation or silent meditation. There’s no need to acknowledge my wandering mind and push the thoughts away like clouds – all I need to do is lie down comfortably and listen to the gong, in this moment, and – literally, so it feels – ride the soundwaves that follow. 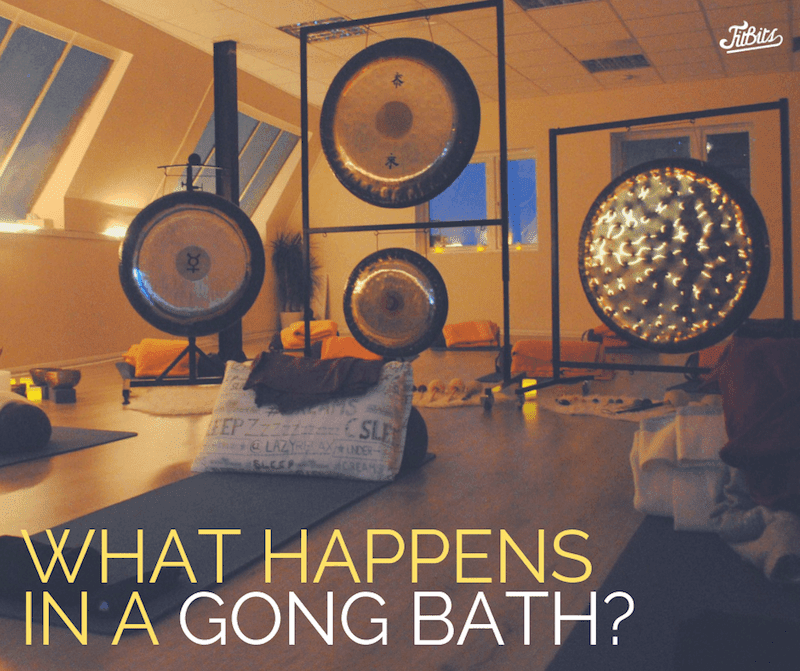 What the hell is a gong bath? A gong bath is an ancient type of sound therapy that’s been practiced for thousands of years. The term ‘bath’ signifies being bathed in sound waves – there’s no water or touching involved. 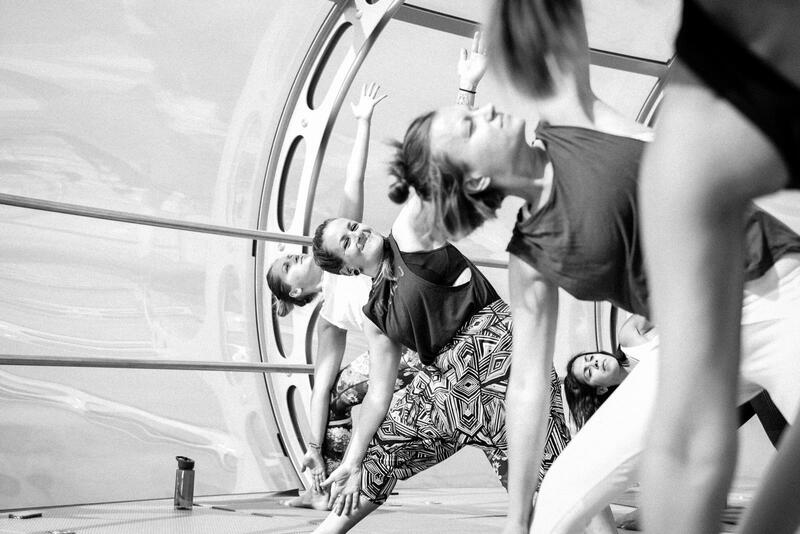 Fully clothed, you lay comfortably on a yoga mat, for 90 minutes, to be – in Gong Practitioner Patricia’s words “cocooned in a sonic immersion”. The thing that makes it so special is that it’s a totally immersive mind and body experience. Sound doesn’t just enter through your ears – the vibrations go through your whole body whether your ears are consciously listening to it or not – massaging and stimulating you inside and out. Because you’re focusing on the sound (it’s pretty impossible not to), it declutters the mind, clears emotional blockages and apparently helps to heal physical aches and pains. 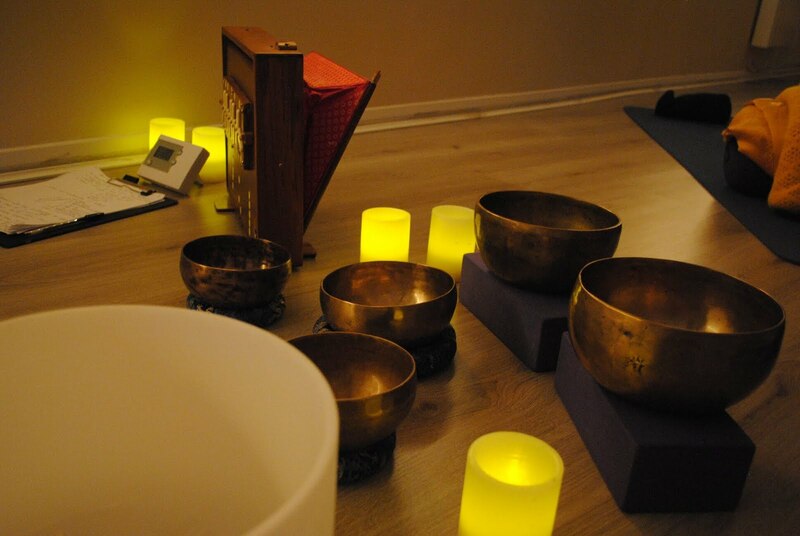 The class set up is much like a restorative yoga class, with all the props you’d expect for deep relaxation – bolsters, cushions, blankets and eye pillows – along with big FO sized gongs and other instruments such as singing bowls, tuning forks, wind chimes, shakers, bells and rattles, as well as the practitioner’s voice. 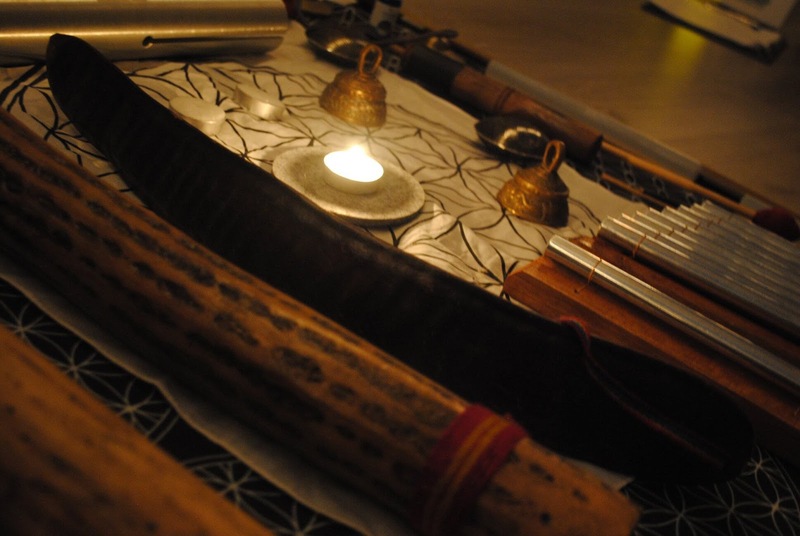 The practitioner will strike, stroke and play these in a variety of ways to create therapeutic sound waves that reverberate across the room and envelops all within it. I can’t tell you what it looks like for sure as I’ve never lifted my eye pillow to look – and I wouldn’t want to. How does the gong actually work? Last night Patricia introduced the sound of the gong to the group for those who hadn’t been to a bath before, which was really helpful for acclimatisation. It’s so much more than the expected ‘boinnnngggg’ you think you’re going to hear when you first see them – the sound goes on forever all around you. You can feel the vibrations in your body as well as in your mind, and almost sounds like something in outer space. Immediately it becomes clear that there’s something way more profound happening here than just ‘listening’ to some noise. The gong sound is changed frequently to avoid producing a fixed, monotonous rhythm. The auditory stimuli of the gong bath process lead to ‘entrainment’, a form of beneficially modified brainwave frequencies. The first brainwave state to be reached is alpha, which is defined by frequencies between 8 and 12 Hz. Alpha brainwaves are associated with creativity and feelings of relaxation. In this state, people experience daydreams, associative thinking and an animated imagination. This state is quickly followed by an influx of theta brainwaves, which fall between 4 and 7 Hz. Normally, the theta brainwave state is associated with deep meditation, hypnosis and REM sleep. For me, meditation is something that fascinates and frustrates me in equal measures (although I know frustration is not its aim!). I love it when it ‘just works’, and my body and mind align to reach that ever-elusive meditative state, but it’s hard on my own so I find it much easier with guidance, and sound. Which makes a gong bath just perfect – there’s nothing you can do but focus on the sound. I remember my first gong bath last year, with the same awesome practitioner, Patricia at SonicSoul, just blew my mind. I turned up not knowing what to expect (I hadn’t YouTubed it and I’m really glad I didn’t), thinking it might be nice gentle ambient music and an hour of guided meditation, and got lost on a journey so deep inside my head (or not?!) I couldn’t tell you where I’d been, and I floated out of the studio feeling amazing. The same happened last night. I found that state – or actually, I sailed right into that state with blissful ease. Before I arrived I was worried about not being able to ‘get into it’ as I couldn’t remember exactly how my first time a few months previous had started. 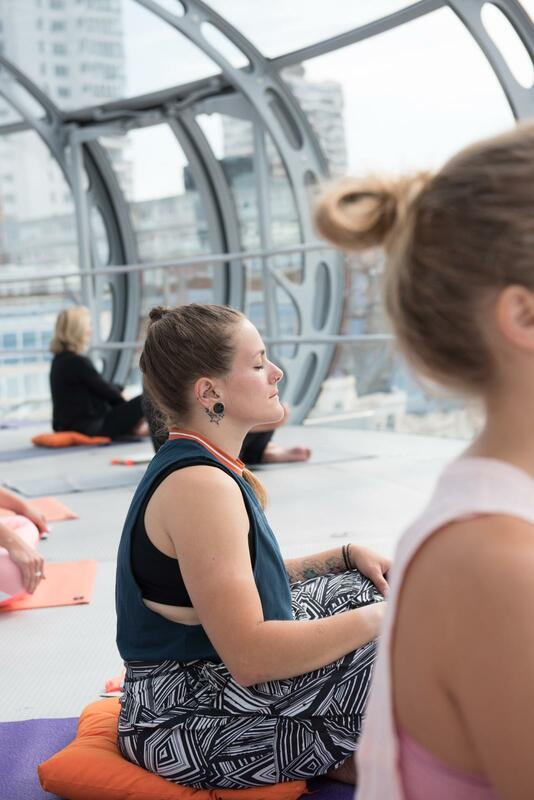 But we had lots of time to get comfortable beforehand, and Patricia started the class with a guided meditation and visualisation focusing on the breath to settle us in for relaxation. I was gone before she’d even stopped speaking. For me, that guiding is so, so important to my meditation practice. And this meditation, this downtime, I’ve realised, is important to me. I’ve been a bit strung out this past month or so, and yesterday’s self care day is something I should’ve done sooner, and should be doing more of. Whilst I’ve had an amazing year in some ways, it’s also been a very difficult and stressful one in others, and it’s made me realise that I need to work more on my own self care to be strong for those around me. I’m very good at training my physical body – I love nothing more than to hit the gym, get out for a run, or jump on the bike, and feed on the endorphins for hours. But something I’m not very good at is looking after my own mental health at times of stress. 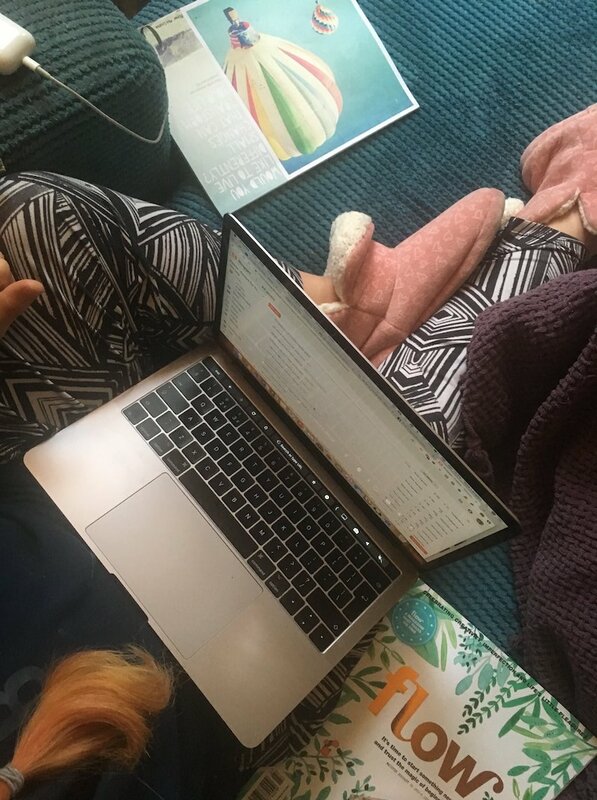 I’ve had an amazing time being so busy with brilliant freelance work that’s challenged and inspired me daily, but I’ve not had time to write my blog – except for this post about why I need a digital detox; do enough yoga, book a floatation or practice meditation, and these are the things that keep me sane. The mind is a muscle, and just like other muscles you can train it to be stronger – to focus more, to be more resilient, to stay calm and with clarity under pressure. These are all qualities I could do with more of, in work and for life. Meditation’s not actually about clearing your head at all, although once you”re able to you’ll certainly feel a lot clearer. It’s about training an awareness and compassion in ourselves – an awareness to notice our thoughts and feelings and understand our minds more clearly, without judgement. To be kinder to ourselves and to others. To give ourselves much-needed time and space in this hectic, always-on life. To breathe. It’s something I need more of (I always have), so I’m making a promise to myself for 2019 to make my self care and mental health as much of a priority as I make my work and fitness goals – so that I can be a better, happier, and actually just a more emotionally balanced version of me. 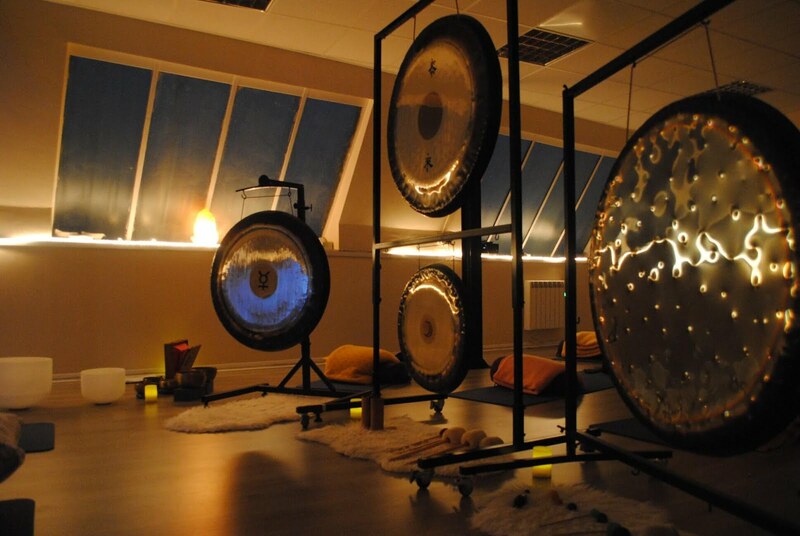 The gong bath I went to is run by Patricia at SonicSoul and is on every first Saturday of the month at Energy For Life Yoga & Functional Fitness, in Kemptown. Find out more at www.sonicsoul.uk. Read about my first floatation, and what happened when I did a three day float challenge. Read how I’m trying to do a digital detox without completely giving up my tech. Do you like to meditate?